As is our tradition the August Monthly Meeting will be a social affair with our Annual Summer Potluck and fundraising for the Western Service Workers Association and their Back-to-School Drive. Please bring school supplies, hand held calculators and backpacks or a generous check for the Western Service Workers Association Back-to-School Drive. If you cannot attend but wish to make a donation send a check to the Western Service Workers Association c/o of Point Loma Democratic Club, PO Box 7802, San Diego, CA 92167. The Club will furnish hamburgers, hot dogs, and soft drinks, plus two drink tickets per person for beer and wine. 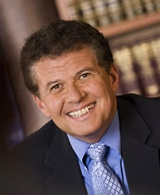 Senator Marty Block was elected in November 2012 to represent the 39th Senate District, which includes most of the City of San Diego north of SR-94, Coronado, Del Mar, and Solana Beach. As a former Dean and director and retired professor at San Diego State University (SDSU), Senator Block brings his consummate knowledge of education to the Legislature. Prior to his 26 years of experience at SDSU, he was a Director of Student Legal Services and a history teacher in Illinois. His extensive background as a respected community volunteer, educational advocate and experienced professional has earned Senator Block wide acclaim from all communities in his district. Check back, we’ll update details of other speakers as they confirm. $30.00 gets you entry and club membership for the rest of the year! Online ticket sales have closed but you can pay by cash, check or credit/debit card at the door. How many in your party? Just me Two Three Four More than four!